VERY cool! congratulations! i'll be adding your shop to my feed reader. and OMG point and shoot straps. So very excited! NICE WORK! I happy that you've come to your decision with confidence!! Many congratulations. I know a bit of CSS also, so if Carrie can't help - I'll try too if you need it. Very Cool. I can't wait for those camera straps! Love them. Great idea to sign up for the feed! I just left your new store after purchasing a strap and a pouch!! I am very happy regarding your move. 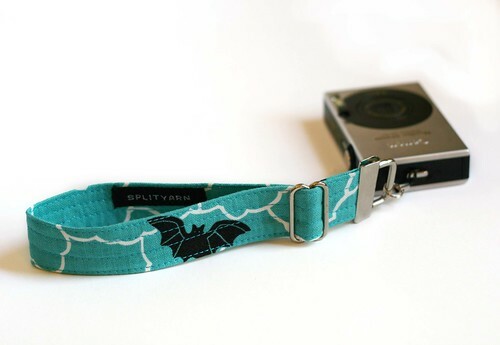 I really wanted one of your camera straps but am very gunshy about Etsy [bad purchase experience and even worse follow-ups with Etsy customer service which should be renamed customer disservice]. I feel bad for the stores that provide great service but I do support them if they set up their own stores. My only suggestion is that it is somehow communicated that the homepage does not represent everything you have in stock. At first glance, I thought you only had nine products currently available. But then I started clicking around. Perhaps that header that currently says "Home" could say something about being just a sampling. That was officially the fastest response to a comment EVER! You are a rockstar. Oooh! I'll definitely be buying a point and shoot camera strap when you've got them! Congrats on the move to a new space! I might be able to help with some CSS- I'm no expert or anything, but I know a little bit! if you're up for learning some CSS.. way back when i started learning (like 10 years ago) there was a great "learn CSS in 24 hours" book that i liked and found helpful. might be worth looking into. i was so happy to see your new store i immediately bought something, of course! well I would offer some CSS help, but seems like you might be covered on that end now. New shop looks great - I keep eyeing those camera straps! Way to go making the switch! You trailblazer, you.